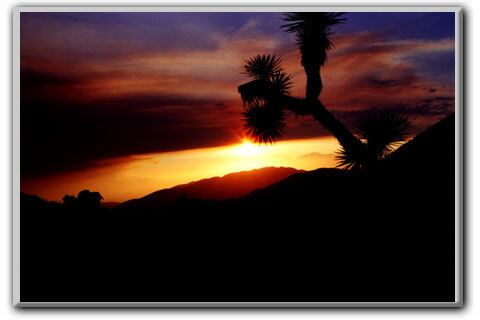 Travel Notes: Of California's eight national parks, Joshua Tree is the closest one to where I live. With a heavy foot I can get there in just over two hours. Good fortune has allowed me to explore multiple trails within its boundaries. Today's trek yields yet another gift for memory. A controlled fire by the I-10 burns in the foothills of the neighboring San Jacinto Mountains. It's hard for me not to see the serendipity. This smoky haze does wonders for the colors in a sunset.